Webroot is a cloud-based cybersecurity and endpoint protection solution for businesses and individuals. Its features include DNS protection, network anomaly detection, IP reputation, anti-phishing, malware detection, and more. In this article, we cover user reviews and pricing. 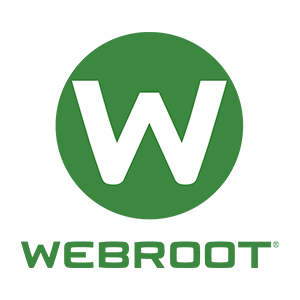 Ready to try Webroot? Get a free trial. Users who gave Webroot a positive review said that it effectively protects their networks by suggesting methods to improve online security. Excellent customer support was also cited consistently. Users who gave Webroot a negative review reported that it often slowed down other web applications. Some of them also mentioned that the console’s design was a bit outdated. Webroot offers two main products: Home & Home Office (ranges from $39.99 to $79.99/year) and Business & Partners (starts at $150/year for 5 endpoints). 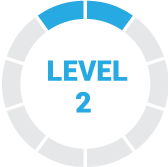 The main difference between the plans is access to premium features such as the elimination of online activity trace, online storage, protection of account logins and passwords, and more. Ready to try Webroot? Get a free trial. Can Webroot help prevent network infections? Yes. Webroot can stop web-borne malware at the domain layer. Hence, it never reaches the users’ networks. How does Webroot help users easily manage their endpoints? Webroot enables users to centralize website control through a management portal called an Admin Console. It allows them to update, search, issue commands, and check scan results in one location. Not sure if Webroot is the right fit for you? Read our reviews of all top internet security software or check out one of these three Webroot competitors. Keeps devices safe with background virus and malware checks. The per device cost is dirt cheap. I just renewed again with a discount and got 5 devices protected for about $60. And the management of all 5 devices is cloud-based so I don’t have to run around and update each installation. I have this running on two PCs, two phones, and a tablet. It’s device driven–no network security here, nor email or macro protections. I saw some industry head-to-head tests that had Webroot beating out the usuals like AVG and Norton. Since then I’ve learned that there are products with a higher price point that do more. 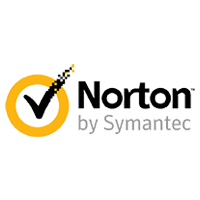 I’ve been a paid subscribe of both Norton & AVG and found them to be cumbersome to use, but I may look at some of the newcomers next year. Light client application that scans quickly and efficiently. The console is easy to navigate. It’s easy to deploy and maintain and rarely, if ever breaks. Support has been mediocre in my experience as well as communication with the sales staff. Nothing. I knew all that I needed to know. The product is easy to deploy and maintain. When we have had trouble, the support has been fast. It seems the product is interfering with the normal operation of our Windows 10 PCs, causing PCs to slow down and lockup daily. I wish I had known ore about how their product differs from the competition. We had used an old, but reliable package for many years. As time goes on, we are finding more difficulty using Webroot, even though it was easy to deploy. Catches and cleans up all viruses and all attack style malware. Deletes and notifies well, shows alerts in console if device needs rebooting. Integrates with Autotask and auto installs in the background. Is constantly up to date and needs not maintenance. Any false positives are quickly resolved with support. Pricing is a little higher perhaps than it should be for the number of licenses we’re buying, and their integrations with other tools aren’t perfect (ie, when a device is deleted from integrated software, the webroot license is not removed). I wish they were a little more apt at attacking browser based malware, as I still have to download Malwarebytes from time to time to clean up things in the browser. Great support and software. Great email communication of planned maintenance, security awareness, and new updates to the console. They seem to be ahead of the curve with their product. I really like the central administration, the easy installation process, and the lightweight endpoint protection client. The console seems a little outdated but that’s not a huge worry. We had an issue where some email graphics in Outlook weren’t being loaded due to a Windows 10 Update/Webroot problem and it took a few weeks for the endpoint update to be officially released to fix the problem. Support was great in helping with this, though. Overall, I haven’t found much to be dissatisfied with.